Featuring a sweeping silhouette, Carner king headboard is both classic and current. An impressive arched headboard is complimented by antiqued bronze nail head accents, and simple button tufting. 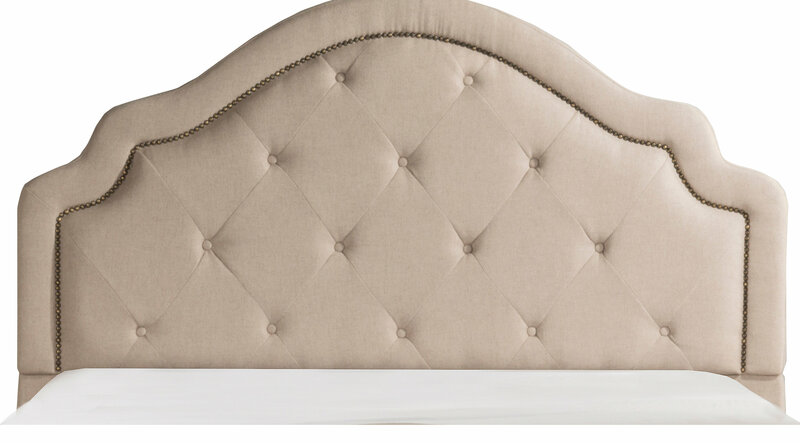 Perfect for most any decor, this headboard is covered in a neutral hued textured fabric.